Tourism research that is inspired by theories of practice is currently gaining in prominence. This book provides a much-needed introduction to the potential applications of theories of practice in tourism studies. It brings together a variety of approaches exploring how theories of practice bridge themes and fields which are usually addressed separately within tourism research: consumption and production; travel and the everyday; governance and policy; technology and the social. 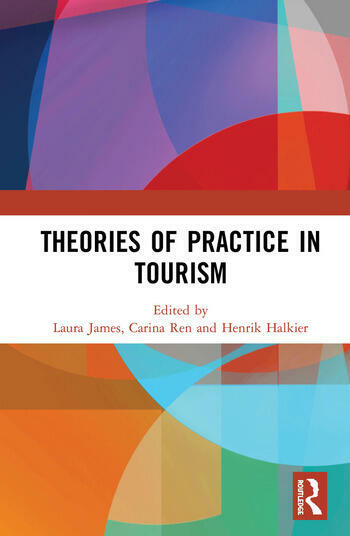 The book critically engages with practices as a fruitful approach to tourism research as well as how the particularities of tourism might inform our understanding of practice theories. This book contributes to conceptual and methodological debates providing insights from authors who have engaged with practice theory as an entry point to researching tourism. It offers a solid starting point for researchers and students alike who wish to learn about, and try, this approach, as well as explore its possibilities and limitations in the field of tourism. Laura James is Associate Professor at the Tourism Research Unit at Aalborg University, Denmark. She researches regional governance, knowledge dynamics and innovation. She currently explores cross sectoral interactions between food and tourism, developing a practice-based conceptual framework to explore how public and private tourism actors adapt, combine and transform existing practices to produce new tourist experiences related to food production, processing and dining. Carina Ren is Associate Professor at the Tourism Research Unit at Aalborg University, Denmark. She researches connections between tourism and other fields of the social. With a focus on everyday practices, she explores processes of cultural innovation, knowledge collaboration and value-creation in tourism. Henrik Halkier is Professor of Regional and Tourism Studies and Dean of the Faculty of Humanities at Aalborg University. His research experience is primarily related to the role of institutions, discourses and practices in tourism and regional development. He is currently working on practices, institutions and networks within the field of food tourism.